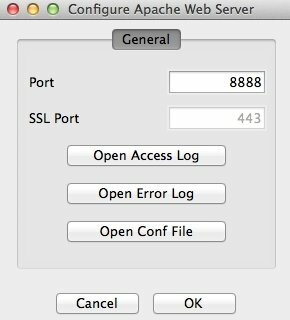 Apache's HTTP server is the best open-source software tool that you can download to have your own local server on your Mac computer equipped with macOS Sierra. Whether you're a student or you simply want to learn to create web pages, Apache HTTP Server is one of the most popular options in the world ever since its creation. What is Apache HTTP Server for? Once you install the tool on your Mac, you've only got to configure it to generate a local area server and be able to host your web pages. It's meant to be one of the safest platforms around as it has been updating over the last 12 years. Furthermore, its main security problems aren't breaches that can be accessed externally but only from the local network. Apache HTTP Server is the result of the effort to keep an open-source HTTP server on modern systems. Great group of developers behind it. Amongst the main tools included in Apache HTTP Server, we have to point out MAMP or XAMPP that manage to create a local area network so you can test your web pages without any kind of risk. They are two alternatives to the clean installation of this server as they include many functions that simplify the management, being able to forget about using lines of code if you're not used to them.